Inshore and Coastal light-tackle fishing charters. Experienced anglers and beginners welcome. All trips are on a custom basis to meet your fishing needs. 2007 Mako 24 Bay Shark with a 225 4stroke and minn-kota trollling motor. Off Shore bottom fishing and trolling. 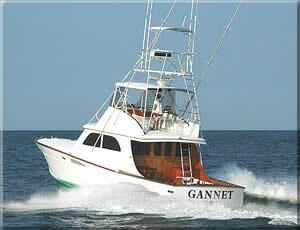 Half day, Three quarter day, and full day Charters available. Fishing for Grouper, Snapper, Trigger, Black Sea Bass, King Mackerel and more!!!! Inshore,sound, and inlet light tackle fishing on the Outer Banks of NC.. Enjoy an exciting day fishing in the Outer Banks region of coastal North Carolina with professional fishing boat skipper Captain Larry Walter catching tuna, marlin, wahoo, and other species that call the Outer Banks home.